Adolf Loos, a pivotal figure in the development of modernist theory, originally designed this handle for Villa Müller, Prague in 1930. and displays his peculiar blend of functional and symbolic formal languages, its heavy ball-end, intended to make it easier to depress with an elbow or occupied hand, was a development of a popular central European lever-type from the fin de siècle. 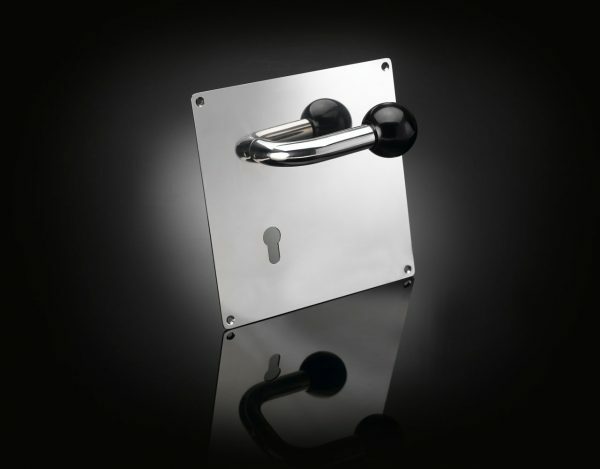 This version sits on a large backplate with a lock. 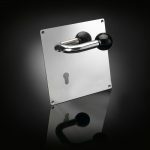 Like all izé luxury door hardware, the lever handle with backplate is available in the full range of izé materials.